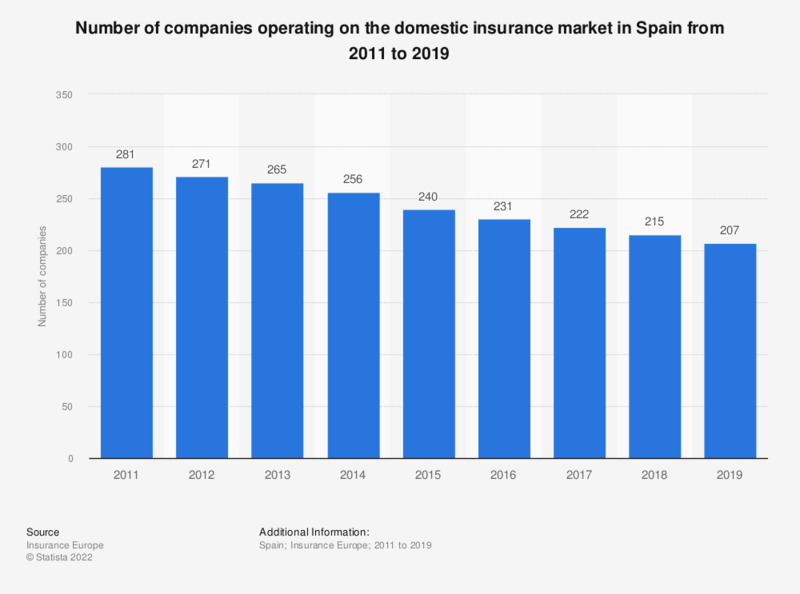 The statistic shows the number of companies operating in the insurance sector in Spain from 2011 to 2016. The number of insurance companies decreased throughout the period. There were 231 companies present on the domestic insurance market at the end of 2016, compared to 281 companies in 2011. Statistics on "Insurance industry in the Benelux"